Despite the fact that we all know what happens when machines get too smart, some researchers are still trying to teach them new tricks. 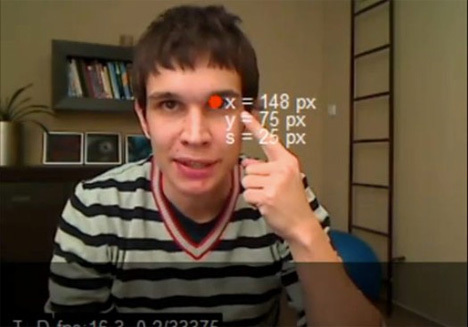 Zdenek Kalal, a researcher at the University of Surrey, wants to teach machines to “see.” By using a unique object tracking algorithm that he calls Predator, Kalal has enabled computers to learn various faces, track objects regardless of position, scale or orientation changes, and even recognize tracked objects through disappearing and reappearing. Predator learns as it goes, meaning that every mistake and misstep it makes improves its future performance. Predator could, in theory, be used for some terribly scary things: things like tracking faces on public sidewalks or specific cars on public streets, building a database of recognized faces or any number of other privacy-invading applications. But for now, it is just nicer to believe that it would be used for positive things like helping disabled people use computers.